There’s little pleasure in saying I told you so when it was so obvious that disaster was looming but it has taken less than two months for shareholders in estate agent Countrywide (CWD) to learn that they are indeed facing a nasty fund raising, as I warned in June. The shares achieved the remarkable feat of losing two thirds of their already depressed value in a matter of minutes when the deeply discounted placing and rights issue was announced at a measly 10p. Those who are still in might as well take up their rights. At least the pain will be a much-needed lesson. But then again, if you are still in you have ignored my advice so far and will probably ignore it again. Sensible souls will stay well clear. 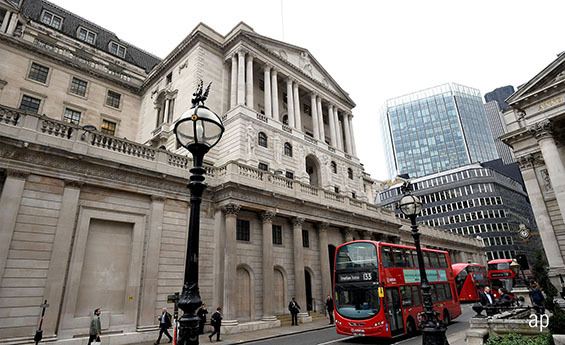 The big surprise in the Bank of England’s decision to raise interest rates is that the vote was 9-0 in favour of a quarter point. I felt that 6-3 was as far as it would go but despite the unanimity I am confident that there will be no further rises before the March deadline for leaving the European Union. It was reasonable to argue that, with inflation relatively subdued, albeit above the 2% target, and wages showing no signs of taking of, there was no case to raise rates and in normal circumstances I would have agreed. However, we are still only a tiny way towards normality after the trauma of the 2008 financial crash and this sign of confidence is welcome. It still gives people with credit card debts time to pay some off before the next rate rise and brings hope that savers will get a little more reward. Interest rate rises are usually bad for share prices but in this instance we should feel pleased that the Bank thinks the economy can stand it despite the continuing uncertainty over Brexit. As an eternal optimist I have frequently thought that the misdeeds of banks were finally being put to rest, only to find that I had underestimated their capacity for scandalous behaviour. So take this with a pinch of salt, but I do believe that provisions for fines and compensation will broadly come to an end this year. The deadline for PPI claims is starting to loom and Lloyds (LLOY) and Barclays (BARC) have set smaller amounts aside despite the possibility of a last-minute rush. It is quite likely that no more provisions will be needed at either and I rate both a worthwhile investment. As a Lloyds shareholder I am pleased that the interim dividend has been raised, although the board was so embarrassed at the tiny rise that it carefully hid the percentage increase, which was 0.7%. However, Royal Bank of Scotland (RBS) continues to attract investors who are far more blindly optimistic than I am. Its shares rose 3% despite second quarter profits coming in lower than the first quarter and lower than the second quarter last year. Perhaps these investors have been dazzled by the prospect of an interim dividend at last, although it is still on hold until the US regulators confirm that their hefty fine is the limit of their demands. RBS has got away with its outrageous treatment of small business in the UK, thus demonstrating that banks are not just too big to be allowed to fail, they are too big for UK regulators to discipline. The proposed dividend is less than double that of Lloyds, yet its shares cost more than four times as much. And we still have the dumping of the Government’s majority stake to come.